There are 25 reviews of Eloge du Traitre. 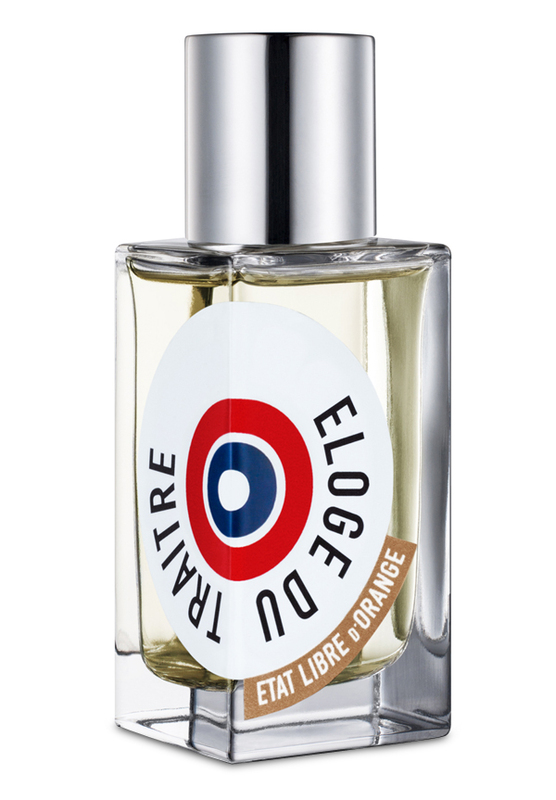 This is another fragrance from Etat Libre d'Orange, like Je Suis Un Homme, that smells like it could have been released 20 years earlier, which is intended as a big compliment. This smells like a nice, alternative version of Caron Yatagan, although it smells less like rosemary, and more like cocoa butter. Who would want to wear a fragrance that means "Praise of the Traitor"??? What a strange name for a fragrance. Perhaps it should have been named "Death to the Traitor." I'll pass. The notes in this fragrance sound appealing, but the name itself is a big turn-off. This begins with a pungent, sharp, turpentine solvent note that seems very close to tea tree oil. It then morphs to a simple oak moss that becomes linear for the dry down. So totally poor and common place as to be beneath contempt. My experience with this house is very dismal indeed. Ridiculous combinations of ingredietns with ridiculous names sold at ridiculous prices. It would seem they reject all the ingredients known to the historical perfume world and use only those that are disreputable. They do have the distinction of making the most putrid scent ever marketed in the history of civilization - Secretions Magnifiques - as if that were not the misnomer of all time. Eloge du Traitre indeed - the house should adopt this as their moniker. Yeah... No. Pine-horror top-note that fades to nothing in no time. I don't get this at all. I can see the passing resemblance to Yatagan, but this is a castrated Yatagan that has lost the will to live. Pointless. Eloge du Traitre opens with a very fresh, icy pine that is quickly joined by cool green herbal notes. The geranium and jasmine mentioned in the scent's description are well hidden, and serve more to soften the edges of the fragrance than as leading elements. The heart of Eloge du Traitre is the cold heart of a pine forest in winter, all still and frosty in the early morning light. The pine and a certain sharpness in this scent may be what remind some reviewers of Yatagan, but I find the resemblance superficial. Eloge du Traitre has none of the artemisia that shapes the heart of Yatagan, and does not approach the older scent's dry, feral potency. Ultimately rather simple and not terribly exciting, though it might well appeal to those who find Yatagan just too overwhelming. There are no member images of Eloge du Traitre yet. Why not be the first?